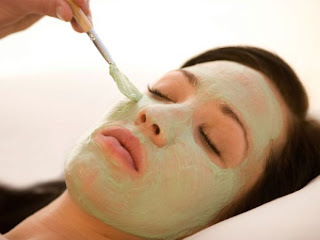 This mask works …try it and see the difference ..
Take fresh neem leaves and grind them into fine paste. (OR) you can get it from store. Next add 1/2 tablespoon of turmeric powder to neem paste and mix it well. Apply this paste directly on your pimple/acne marks and apply left paste to your face. Wash with cold water and wipe with a clean towel. Its antiseptic and healing properties cure pimples. Turmeric powder not only enhances complexion it also helps to remove pimples. Neem and turmeric powder paste also works for any skin infection.